You know I’m kind of obsessed with recycling, and one of my favorite things are jars and pots. You may have seen my pantry storage jar already, but I’m always looking for other ways to give them a new life. He’s part of the family, so we like to do things for him as well. Here he is proudly next to his crate, where we keep his blankets, toys and all his stuff. Then I painted it with the homemade chalk paint with is great to use on glass. It needed two coats to cover it properly, and let it dry. Then I search for a graphic with some vintage dogs and I found this from Retro Vectors with some lovely ones. 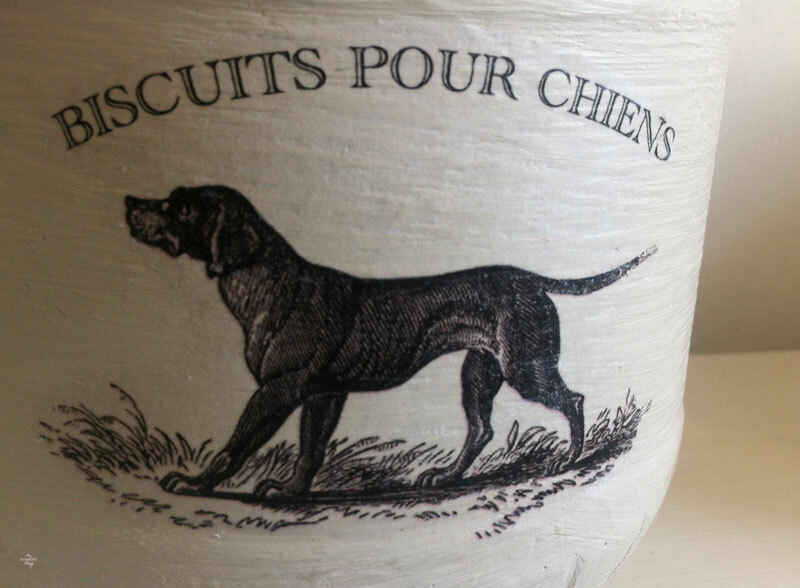 I added the text “Biscuits Pour Chiens” to identify what was inside if it wasn’t clear enough with the dog image! I used some clear wax to protect it, and it was done. Pinxo now owns a cute treat jar for his own, he deserves it. Do you love DIY, recycling, home decor, furniture transformation and all kind of crafts? Then we have the same passion! I would love to share all my crazy ideas and projects with you so I would love if you SUBSCRIBE for my post e-mails. I also share interesting content on Facebook and other social media, and I would love to hear from you! Not following me yet? Don’t be shy and stop by to say hello. Follow me on FACEBOOK, PINTEREST, INSTAGRAM, TWITTER, +GOOGLE. This entry was posted in Before & After, DIY, Transfer. and tagged Before & After, Chalk Paint, Decor, DIY, Freebies, French, Jars, Transfer. Oh your Pinxo is so cute! And the jar a great idea! I keep our bunny food in a tupper but making a special jar for it is so much better Pili! Love the french theme!!! Yes, he’s too cute. He loves kids and he plays until he’s exhausted. Also he’s had infinite patience with the girls, so he deserves this and much more! Your dog is so cute, he looks like my Flavio! What a great idea to make a jar for him. And you can never spoil your dog enough. He looks so great in that beach photo. Aww, he’s adorable! I love the jar – they would make great gifts! Yes, he’s the best dog we could have. And he recognizes his jar! I can’t get over how cute this idea is! 🙂 LOVE! Pinxo is so cute! The jar also turned out beautiful. Stopping by from the Inspiration Monday hop. Come say hi 🙂 We love rescue dogs! PIli, this is an awesome idea!! It looks so good!! I’m glad you like it too, Keri!! Very cute and a great way to recycle. I always feel guilty when I throw jars away. Hi, Virginia! I have two big boxes full with jars. My brain is all day thinking what I can do with them! 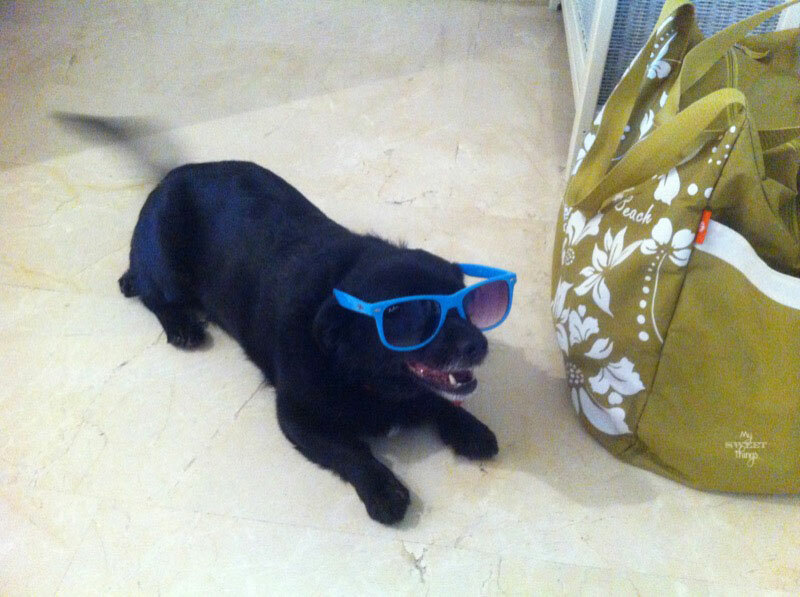 Your dog is adorable in the sun glasses! I love your jar ideas and transfers. Thanks for partying with us at Snickerdoodle Sunday. Beverly, he’s such a good dog. Glad you like the jar too, he does! It looks so nice! Those little companions mean a lot to us, don’t they? Awesome project, Pili! Thank you so much for sharing it on #tiptuesday. He’s part of the family, he’s with us before the girls were born. They love him, and he loves them so much! Wow this is such a cute idea and the treat jar looks great. Thank you for sharing this at Cooking and Crafting with J & J.
Pili, this is so cute! And so is Pinxo. We lost our baby last year. She was 8 years old, but our baby. Just like one of the kids. It was devastating to our whole family. Hold on to Pinxo, he looks like a great dog, and deserves to be spoiled. P.S. I’m going to start saving jars! I love what you do!!! Hi, Pili ~ Love this treat jar! And your dogs is so cute and playful. Thanks for sharing with us at the Merry Monday Link Party. Hope to see you again on Sunday! Hi, Tiffany! 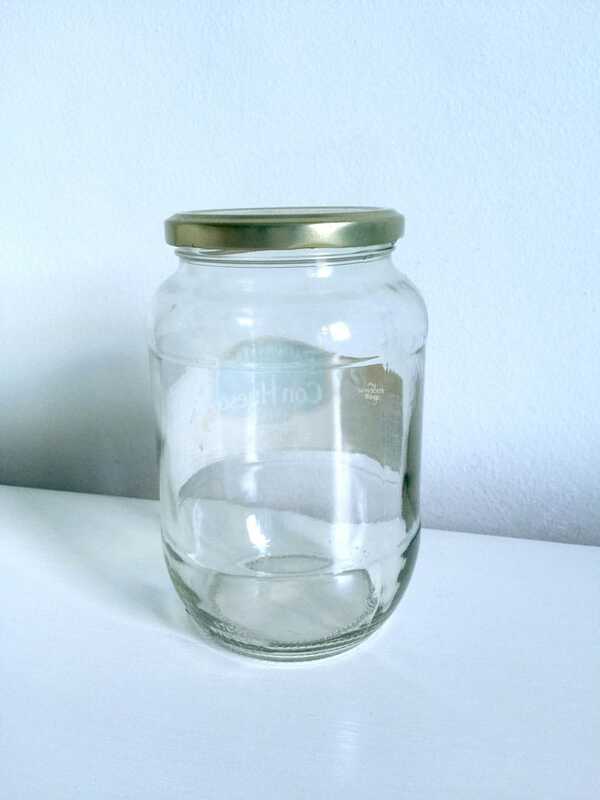 I’m glad you like the jar, Pinxo is lovely I know… Thanks for stopping by! 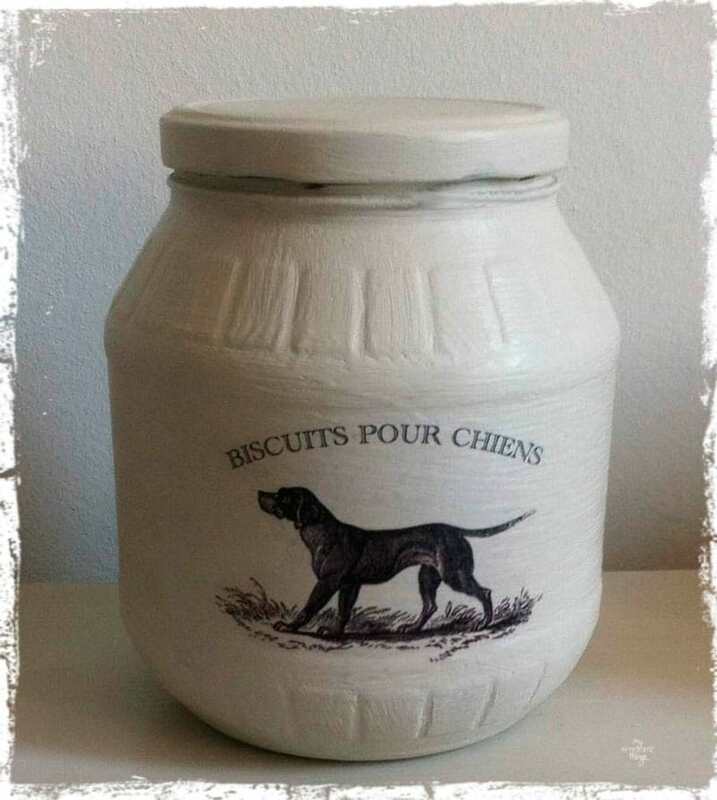 Your dog is aorable and he is lucky to have such a great treat jar. Thank you so much, Beverly! There is nothing wrong with being obsessed with recycling!! (So says the upcycling blogger). 😉 Pinxo is adorbs and I’m sure he loves his new treat jar. Thank you so, so much for partying with us at Snickerdoodle Sunday- can’t wait to see what you’ve got next this weekend! Haha Sadie, good to know I’m not alone with my obsession! Thanks for stopping by and taking the time to comment! What a cutie he is! Love what you did with the jar. Very clever! Thanks so much for sharing at Vintage Inspiration Party. Hi, Betsy! He’s adorable, he’s so good with the girls… even when he’s tired of being annoyed. love the image! my pups would love a special treat jar – guess I have to try it! There’s no mystery here as you can see, just paint and a cute image. Sure your pups would love it! Thanks for stopping by, Betty! Nessie, I’m sure your doggies would love having one. Pinxo recognizes his! Oh Pili. He’s so adorable and such a cutie, sitting there in his shades waiting to go to the beach. I love what you’ve done the jar. You should seriously set up a shop and sell these. I think every dog owner would want to treat their pet for Christmas. Sally, I can tell he’s the best dog ever. You should see him with a pink princess crown! I’ve thought about selling them, but I love to do so many different things that I can’t take the time to make some. What a cute idea, as well as your cutie dog. I like how you took something headed for the curb and recycled it. Not only that, but you turned it into a fun, attractive container. Great job. I saw your link at Becca’s DIY Vintage Chic’s link party. Hi, Ann Marie! Thank you so much for stopping by and your kind comments, it’s an honor. I love the things you do! Mimi, everything seems more posh in French lol! You are so clever Pili! This is no doubt the cutest dog treat holder ever! Love the posh look you give everything. Thanks for partying with us at Talented Tuesday. And Pinxo is so cute! Hope you are having a great week Pili! Hahaha AJ, you make me laugh! When the budget is short imagination must be abundant! Then you have to see him with a pink princess crown!! Thanks for your comments, Hayley, and happy Thanksgiving! What a cutie and I love his glasses! A fondue restaurant sounds amazing, but fondue at home is even better! I am always a huge fan of anything chocolate! When we take the jar he knows there’s something for him, he’s clever! Wow, you did a great job on that jar! And your dog is so cute! Hi, Anna!! 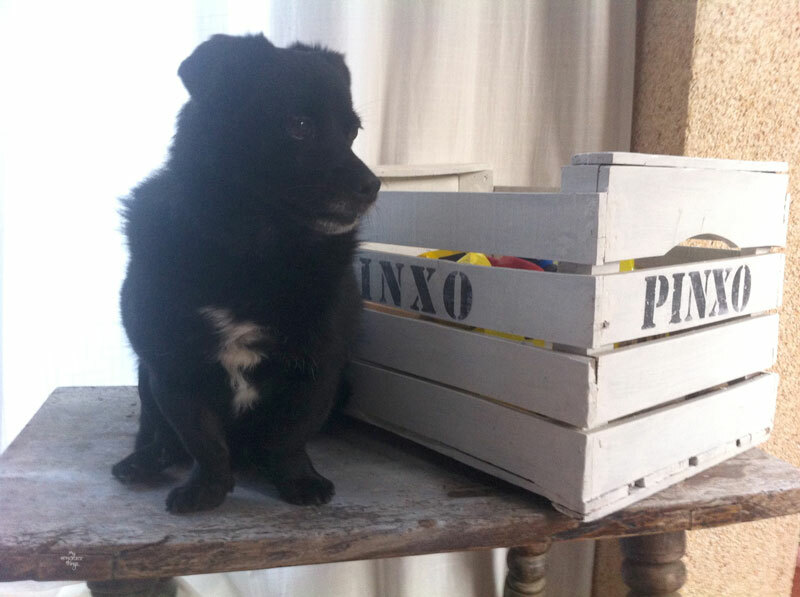 Yes, Pinxo is really cute and a good dog, we love it so much!